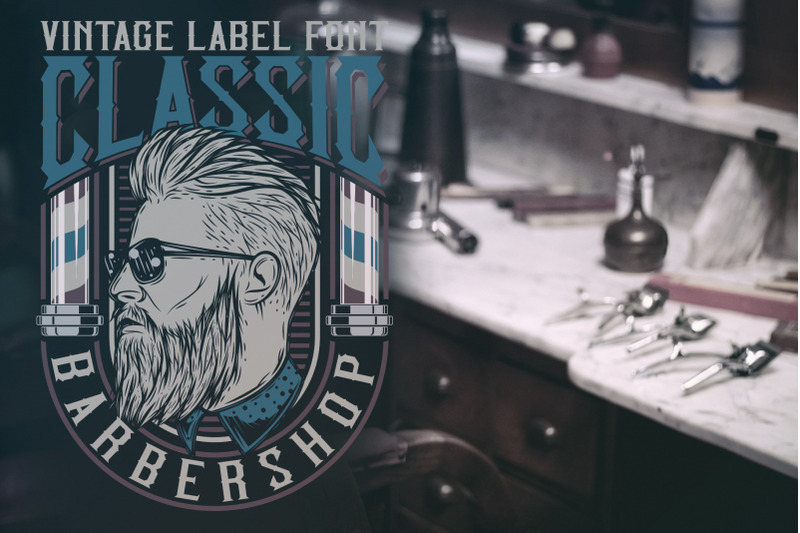 Introducing a vintage look label font named "Classic BarberShop". All available characters you can see at the screenshot. 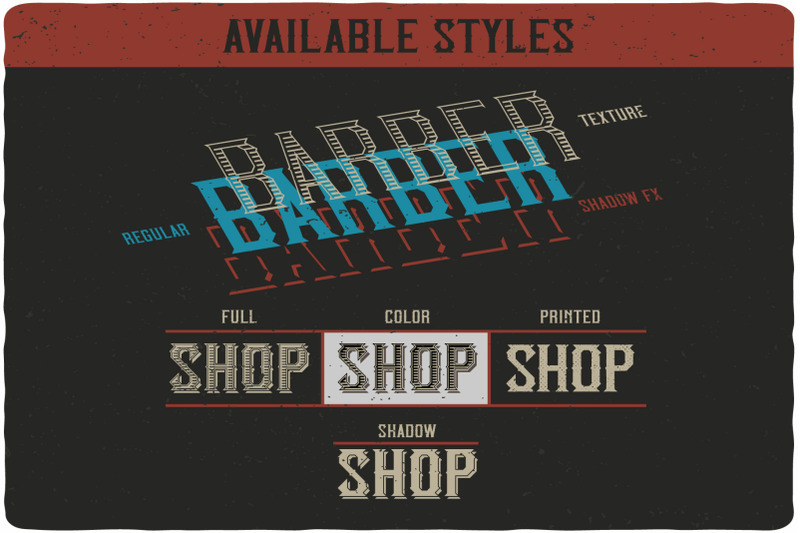 This font have 7 styles (including layered effect styles). 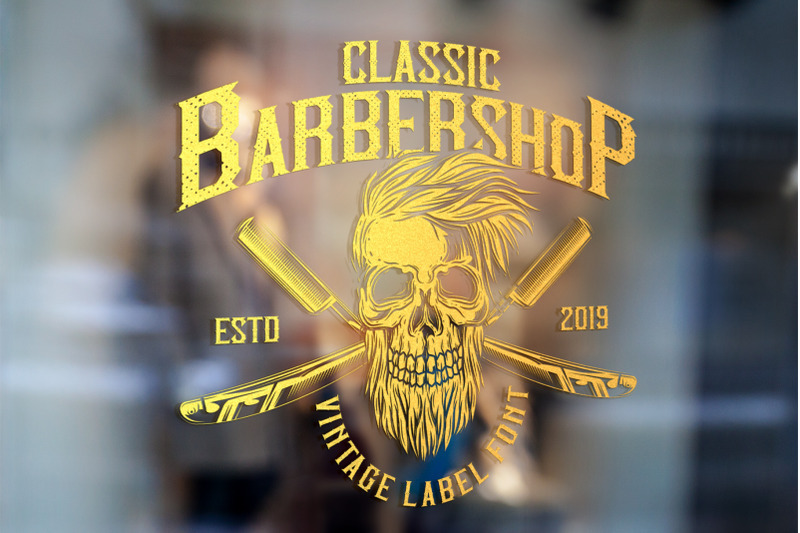 This font will good viewed on any retro design like poster, t-shirt, label, logo etc. 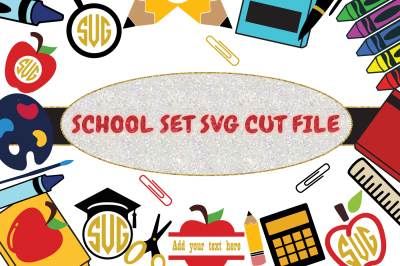 OTF, TTF, WOFF and WOFF2 font files. 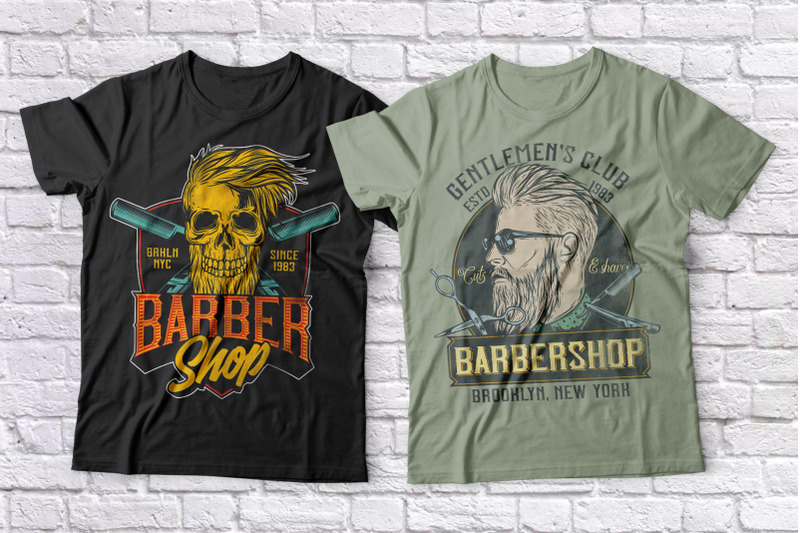 Ready four t-shirt designs in EPS10, hires JPG and PNG (with transparent background). 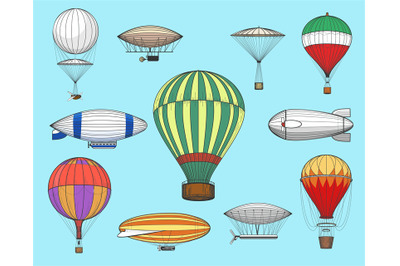 Isolated illustrations from screenshots on white background in EPS10, hires JPG and PNG (with transparent background). 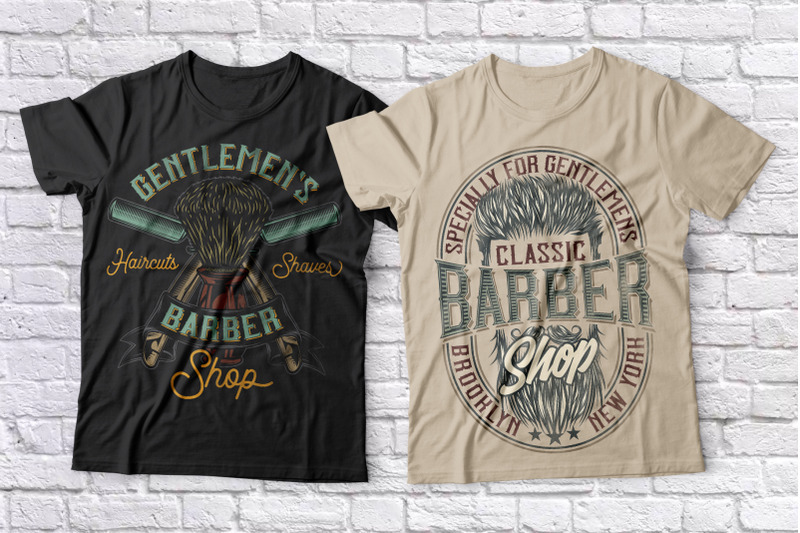 Photos and mockups are not incuded.